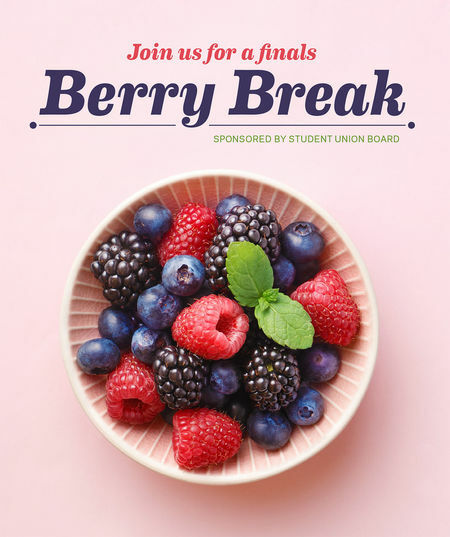 Enjoy a selection of fresh berries, just in time for finals! Berries are full of anthocyanins, a group of plant chemicals that play an important role in the prevention of cancer, heart disease, and cognitive decline. These compounds have also been shown to enhance memory, increase blood flow to the brain, and improve mood. This makes them a perfect food for finals week. So have some berries, get your rest, and finish strong!